Want to liven up a kid’s party, fantastic christmas day or any occasion where group photos will be taken? Just bring out this bag of novelty props and have everyone choose a silly accessory or two, then let them mug for the camera. Birthdays, Christmas, family reunions, weddings, graduations, baby showers, parties and get-togethers of all kinds will be more fun and memorable with this novelty kit. 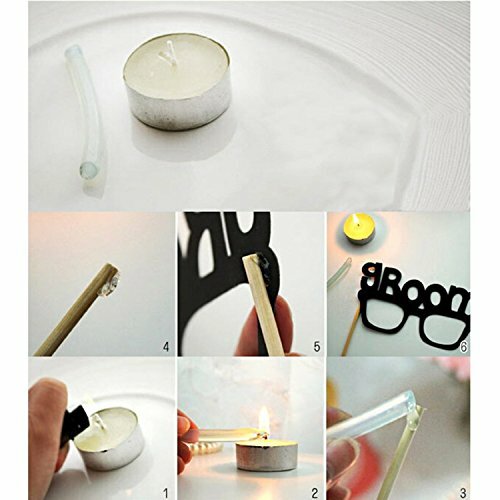 – Material: Cardstock with bamboo rods. – Sized to fit adults and kids! – Newest design! 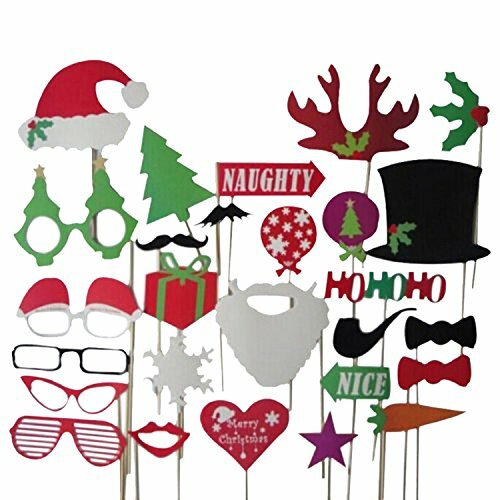 This kit comes with 27 different adorable props for all your playful and party occasions. Costs less and offer more props. 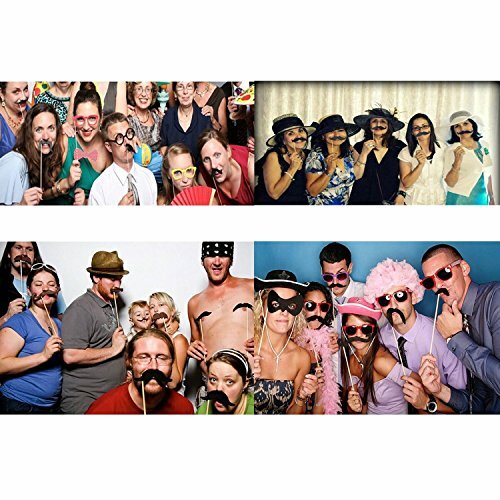 – Perfect for any occasion with kids or where group photos will be taken. 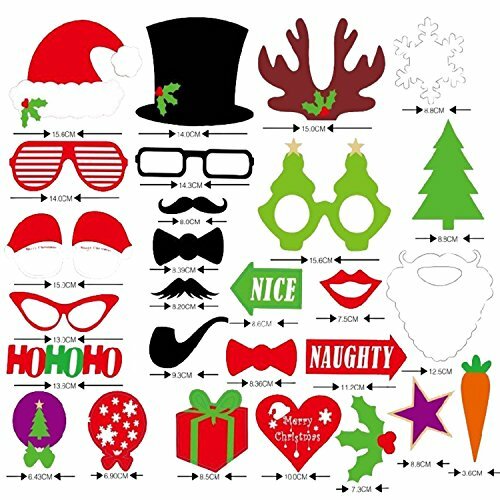 – – Creates memorable holiday photo favors! 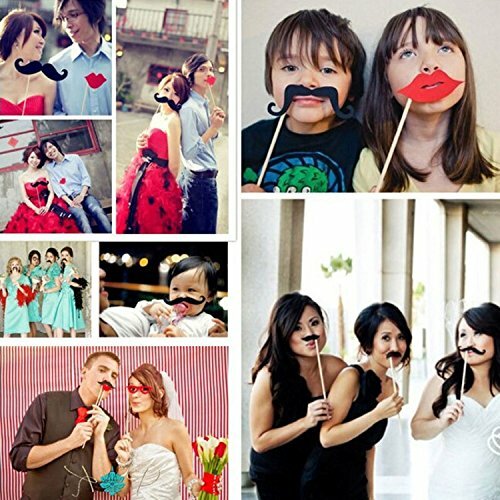 – Ideal for capturing all those special memories for your big day or even selfie. Your kids and friends will definitely love them! – Colorful props on high quality card stock with durable Bamboo rods. – Quick and easy to assemble – no mess! Quick and easy to assemble – no mess!